December is nearly upon us and with that, so too is the official kick-off to holiday entertaining. Be remembered as the best host on the block with these 5 holiday party appliance essentials! Almost every experienced hostess can tell you ice is almost always one of the first things to go, especially because we often underestimate how much we’ll need for a party. 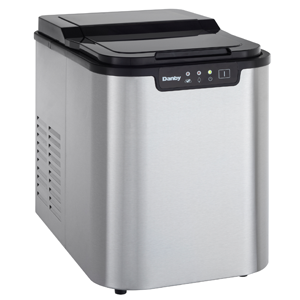 Most portable ice makers can make ice in as little as ten minutes or less, which is perfect if you realize too late that you are running low. Look for space-saving countertop ice makers or even built-in options for your next soiree! Complement holiday meals with a perfectly chilled bottle of wine. Temperature-controlled wine coolers and chillers are available as stand-alone models or built-ins that can fit with existing cabinetry. They can range in capacity from models small enough to fit on top of your countertop to large units capable of storing hundreds of wine bottles. There are also coolers that offer dual temperature controls for both red and white wines. A staple of the catering world, these appliance combinations make it much easier to prepare and serve food to large groups. The typical buffet server has three sections for different food items, and many have built-in warming trays that can keep the food warm for hours. That means you can prepare some of the food before the guests arrive without having to worry about it getting cold and stale. Simply prepare the food at your convenience, fill the trays to keep things warm, and them put the server on your console or table to allow guests to serve themselves in a sophisticated way. Even a winter party can reap the rewards of a frozen beverage machine. Just think of serving fresh margaritas, gelato-inspired milkshakes, and frozen soda slushies that will impress your guests. Beverage centers provide an all-beverage storage solution that is specifically optimized for the storage of 355ml cans and/or 750ml wine bottles. These units can be installed closer to where it is needed, and like wine cellars, are available in free-standing or built-in options. Overall, beverage centers make entertaining effortless by putting the convenience of serving perfectly chilled beverages within arm’s reach. Danby Partners with ENERGY STAR to help you save!